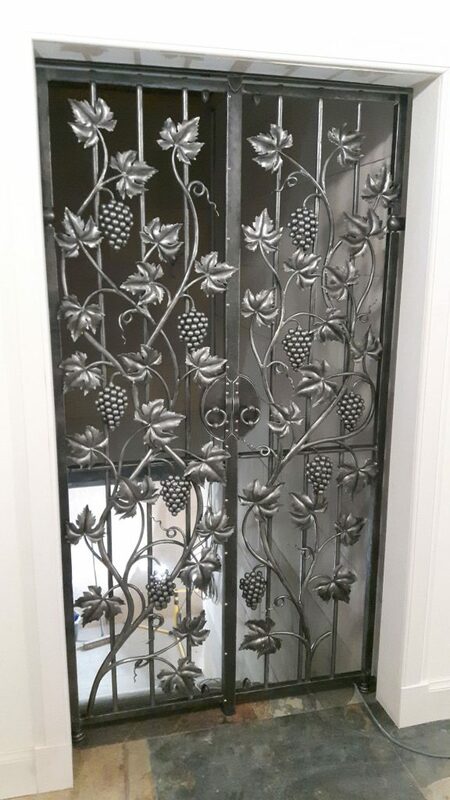 A beautiful set of grape vine gates for a wine cellar in an Edinburgh town house. 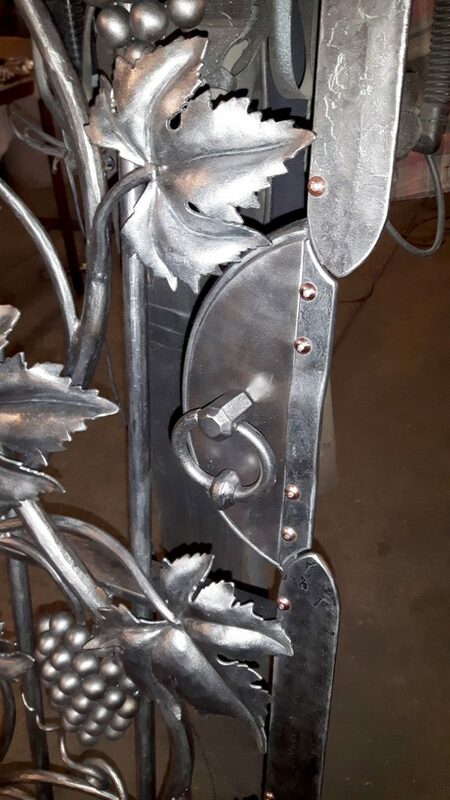 The gates are all hand forged mild steel with a brushed and waxed finish. 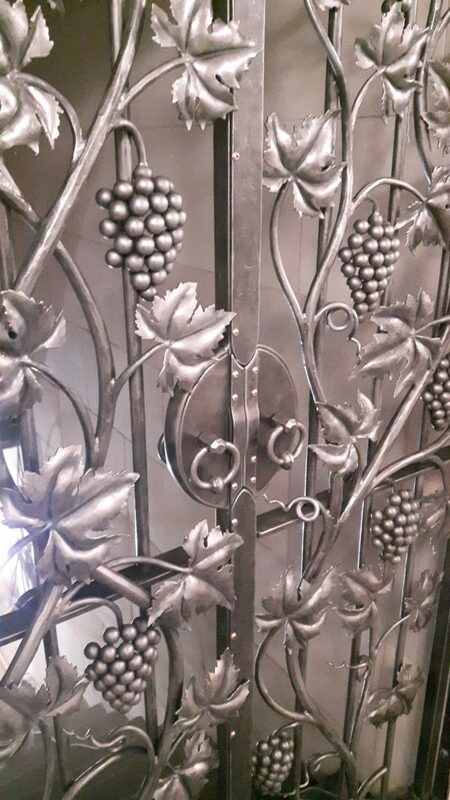 Hinged glass panels are fixed to the rear of the gates to keep the cellars chill from rising into the house.